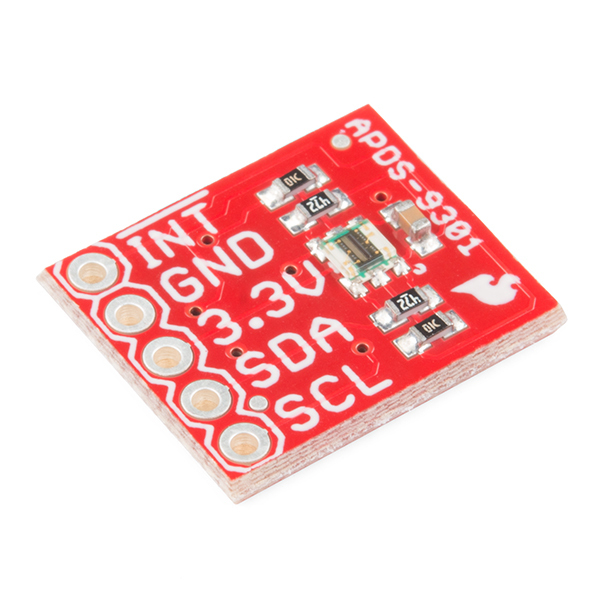 The APDS-9301 Ambient Light Sensor Breakout is an I2C-compatible luminosity sensor board that converts light intensity to a digital output signal. 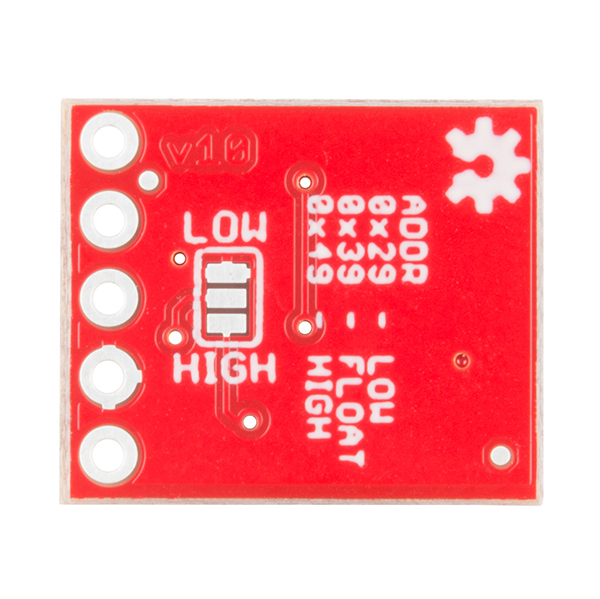 This breakout is fairly simple and has been specifically designed with only a few ancillary passive components in addition to the APDS-9301 IC itself. All readings are returned to your chosen microprocessor in lux, providing precise Illuminance measurement under diverse lighting conditions. 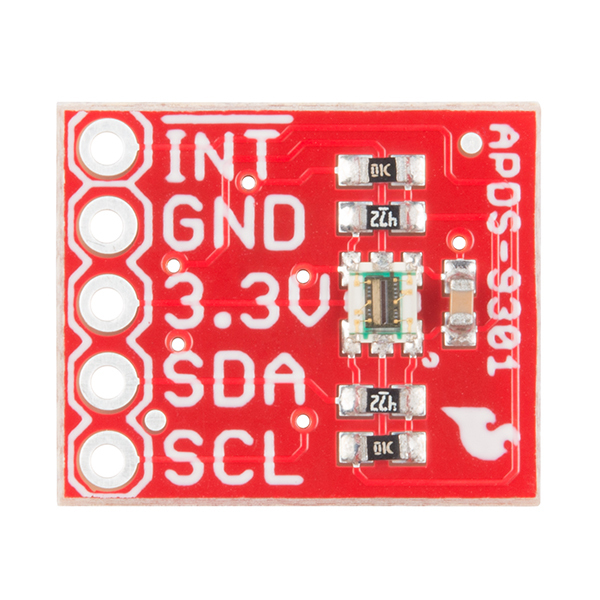 On top of each board breaking out our standard I2C pin-out of SCL, SDA, 3.3V and GND, we've also provided an INT pin so the APDS-9301 can be programmed to generate an interrupt under certain conditions. It is important to note that this breakout is non-instantaneous, so it will require some integration time to take a measurement. A motorized AI enabled smart camera w/ torch enabled by the Thundercom Kit which spots, prevents, and reports environmental polluters. When the sensor detects that there is no light, it activates the servomotors that control the box and remove the skull. The description has a spelling mistake "ADPS-9301" should be "APDS-9301"
What is the range of this sensor in LUX values (you know, like for TSL2591)? It helps the photographers to post this kind of information... Thank you! I believe the top end of the range is 200k. It's not straightforward to calculate, though: counts per lux varies depending on the light source, and integration time plays a role as well. 200k is the best number I've found. A couple of things I'd like to see if you ever re-design the board: a "cut-able jumper" to be able to take the SDA and SCL pullups out of the circuit (if you've got several I2Cs on the same bus, you usually nee to have only one have the pullups), and a bit bigger board with a "mounting hole" at the opposite end from the PTH for connection. 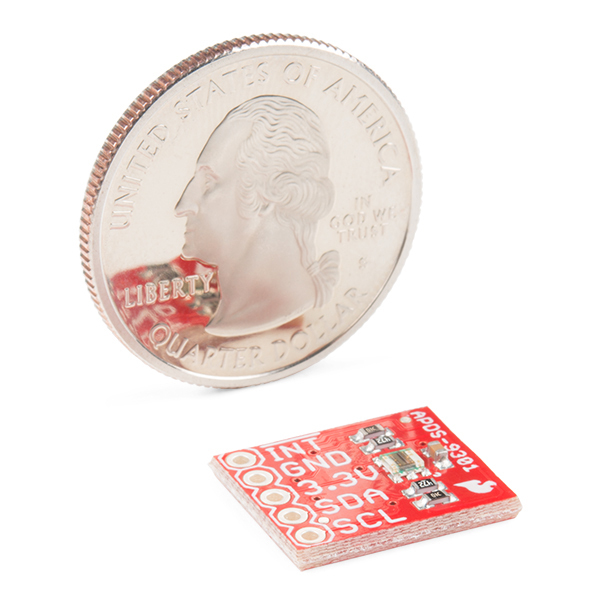 (Hmm - if you moved the SparkFun logo on the front, and the OSH logo on the back, you might could get space for a small mounting hole without enlarging the board, though you might need to reroute the interrupt trace.) BTW, SEN-13676 has both these features.